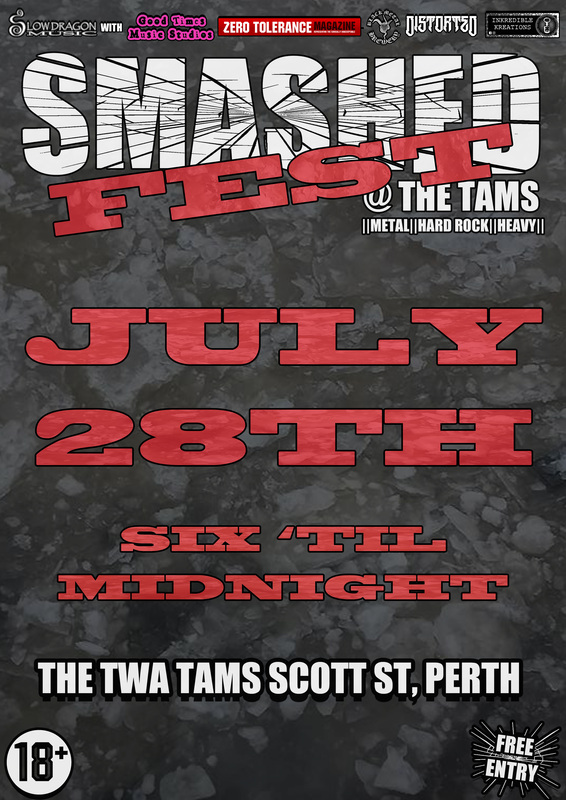 After a year in operation, we believe the time has come to try something a little bigger for Smashed at The Tams. We’re proud to present to you SMASHED FEST! On Saturday July 28th, we’re cranking Smashed up to 11! We’re hosting more bands, more competitions, and more madness than ever before. Best of all, IT’S STILL FREE!!! With more than twice as many bands, and a guitar eating competition planned, as well as our usual costume comp, and multiple prizes to get your claws into, this is sure to be Perth’s biggest hard-rocking, riff-dealing party of 2018! * The first act will kick off at 6pm, and we’ll be entertaining you until midnight. Dust off your dancing shoes and prepare to get Smashed! Posted in Latest News and tagged Metal, Metal News, Rock, Rock News, Slow Dragon Music, Smashed, Smashed Fest, The Twa Tams.